HGA is pleased to welcome Lisa J. Smith as Senior Associate and Business Developer in the Minneapolis office. She will work with firm leadership to support new business opportunities, client relations, and market insight for the Healthcare Practice Group. Smith has 25 years of professional design, marketing, and business development experience. She spent the first portion of her career in architecture and design working in a variety of industries, including corporate workplace, retail, hospitality, and healthcare. After acquiring her MBA, she transitioned into marketing, advertising, and business development, strengthening her expertise in strategic planning and implementation; critical, analytical, and design thinking; data analysis and reporting; and market research. 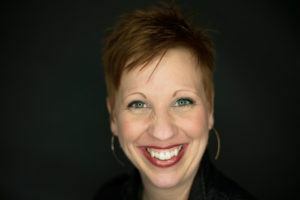 Before joining HGA, she was Director of Strategy and Client Services with 6AM Marketing, a multidisciplinary marketing and advertising agency in Madison, Wisconsin, where she directed comprehensive annual strategic communications and integrated marketing campaigns. Smith has a Master of Business Administration in Marketing from Edgewood College in Madison, and a Bachelor of Science in Design from the University of Cincinnati.